Gothenburg, Sweden, is among the top cities with a free business environment. According to our city rankings, this is a good place to live with high ratings in housing, safety and healthcare. Costs of living in Göteborg are in the 179th place of all 248 Teleport cities. Sign up for free to get access to our cost of living index and use our international cost of living calculator to do cost comparison by city. Software Engineer salaries in Gothenburg are above average. For this job type, Gothenburg ranks 97th for salaries among 265 cities. Get access to our salary comparison calculator by signing up. Compare salaries city by city with our free salary wizard and convert your own salary to a local salary in Gothenburg. Do locals recommend living in Gothenburg? How could Gothenburg improve to make it a more liveable city? We will make sure that the local government will know about the suggestions that reach enough votes. 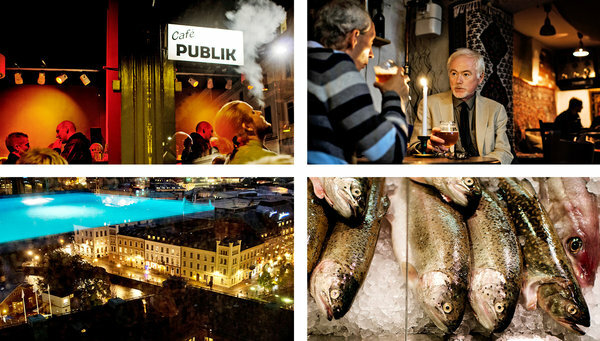 Is Gothenburg a great place to live? What makes it special for you? What makes it liveable? What should others know about? Why should they move here? Why do you love it? Looking for a job in Gothenburg? Let the jobs come to you! Sign up with your email and we’ll start working on getting job offers from Gothenburg delivered to you. It's free. No strings attached. You can unsubscribe anytime. The overall crime rate puts Gothenburg in position 141 of 266 Teleport Cities in a ranking for the safest cities. Gothenburg (Swedish: Göteborg, pronounced "Yertebory") is Sweden's second largest city, with half a million citizens. The city lies on Sweden's west coast, at the outlet of the Göta river. Gothenburg is Sweden's largest industrial city with companies such as the Volvo Group and Volvo Cars. Still, Gothenburg is green and making the most of its riverine and maritime location, featuring many parks and canals. There are also many historic monuments from its relatively short but glorious past, and evidence of the Dutch-sourced city planning which makes Gothenburg share traits with Amsterdam and Jakarta. It also has a youthful side to it, with over 60,000 students (Gothenburg University is the largest in Scandinavia). Gothenburg has a reputation of being a friendly place, even more welcoming than Stockholm, the Swedish capital. Gothenburg is a city founded in the beginning of the 17th century by the Swedish King, Gustav II Adolf (see also Nordic history). It was once the center of the Swedish shipbuilding industry but with rising competition from foreign ship yards, many of the dry docks had to close down. Much of the inner harbor area has changed from industrial ship building to high technology and education, representative of the general change in the city. Today Gothenburg has both international sporting events, concerts, and conventions as well as a small town feel.